Earlier this evening I got the opportunity briefly to attend a Josh Penry for Governor meet-and-greet session in Broomfield. The campaign is just out of the gate, and the Grand Junction native is busily plowing his way around Colorado. 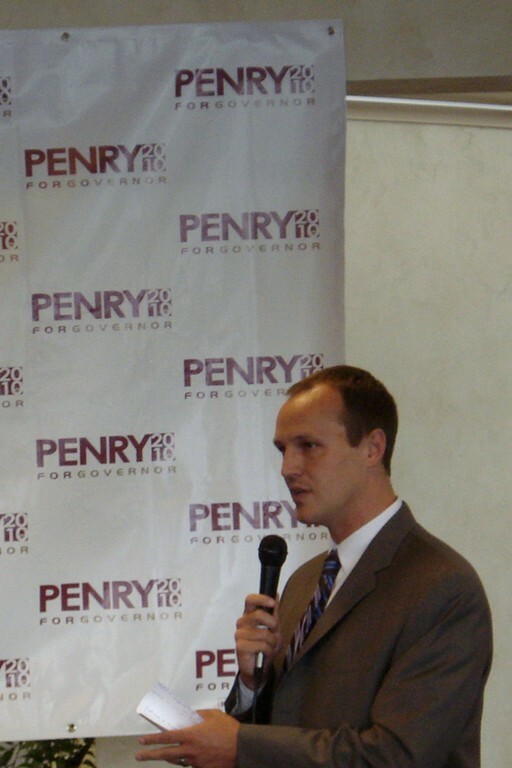 No doubt he’s been on a hectic schedule, but Penry demonstrated a good stump speech delivery, staying on message. I am pleased to see him make no bones about the national Republican Party’s failure to govern according to fiscally conservative principles, and his clear decision to run against that failing as well as against incumbent Bill Ritter’s weak leadership, misguided philosophy, and misplaced priorities. Penry fielded questions from the audience (including this blogger) on a range of topics — including TABOR, budget cuts, fiscal policy, education reform, energy issues, immigration, social issues politics, and bipartisan governance. Nothing appeared to catch him off guard. The 33-year-old state senate minority leader handled each inquiry graciously with confidence and aplomb. Interestingly, no one raised the question of his youth and relative inexperience. While a sensible query in the abstract, it made less sense after hearing Penry speak in person and demonstrate a maturity and command of the issues beyond his years. I don’t think he is fully seasoned yet, but his political skills are very strong. He makes effective points connecting his issues with the concerns of everyday Coloradans. If he follows through on his commitment to work hard in this race, there’s no reason why he shouldn’t win the nomination and have a great chance to unseat Bill Ritter in 2010. At this point, it’s too early for me to throw my support behind any primary candidate. But I will say I’m giving Josh Penry a very close look, and am greatly inclined to personally back him when the time comes — if he stays on his current trajectory.